How do you Know When Your Home is Overpriced? In the real estate market, the value of your home depends on several other factors, other than the price you paid for it. For one, the price buyers are willing to pay for it at any particular time may depend on prevailing economic conditions, mortgage rates, the season of the year and a host of other things affect the value of your house. The price of other homes in the neighborhood is way lower than yours. Buyers usually know what the general sale price of houses in a location is, and when they notice yours is way over that, they get the impression that you are unreasonable and might not even bother to see the property. Real estate agents often go through a comprehensive process before advising clients on an appropriate price range so don&apos;t unduly pressure your agent into raising his estimate. You haven&apos;t had many showings or offers made since the listing. If you haven’t received any offers after about 3 or 4 months and no prospective buyers have come to view the property, there might be a couple of reasons responsible. Ask yourself if your agent is trying his best to promote your listing and if other houses in your neighborhood are moving. If both answers are yes, then it might be a likely fact that your home is overpriced. Other similar houses in the community are selling, and yours is not. There are different reasons why this may be so, are those houses newer, larger or have better features? And sometimes the reason theirs is selling, and yours is not is because it is overpriced. Expired listings. Real estate agents often state the listing period on the listing agreement, and if this period expires without being sold, you might want to review your price downwards as it might be an indicator that your house is priced too high. It doesn&apos;t mean there are no buyers; it just means the buyers who came were not willing to offer that much. It&apos;s critical that you ask for feedback from your agent as to why your house did not sell. That gives you the opportunity to correct things that certain buyers didn&apos;t like. "Having grown up a "Country-Girl" in Washtenaw County, I have great knowledge and understanding for country and rural properties. My husband and I operate a show horse-training operation, which provides me additional insight into horse and farm properties. If you are looking for someone who knows Ann Arbor, and the surrounding communities, it would be my pleasure to assist you. 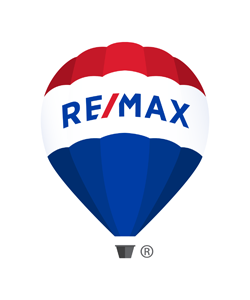 I am anAssociate Broker who has over 25 years of experience in the Real Estate business. Providing my clients with personalized and dedicated service has always been my goal!"